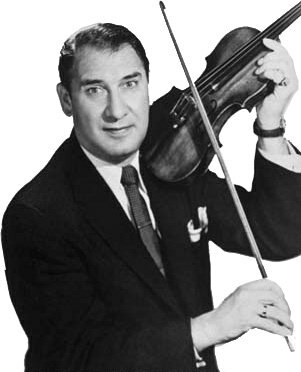 Famous for his violin playing and comedic quips, Henny Youngman broke into the nightclub comedy circuit before making several appearances on old time radio. "Henny Youngman on Command Performance"
"I haven't spoken to my wife in four months. I didn't want to interrupt." Henny Youngman's impact on American culture is simply incalculable. He is responsible, not only for many famous one-liners, but for the pervasive nature of the form itself. All of us are familiar with the idea of the rapid-fire joke, of the rhythm of an economical set-up followed by a pause and a quick punchline, coming out in a rapid fire just like the drum rim shots that often accompanied them in old-school comedy clubs. And who among us isn't familiar with "take my wife...please!" Or "I was so ugly, when I was born, the doctor slapped my mother"? Who hasn't heard, "The patient says, 'Doctor, it hurts when I do this.' The doctor says, 'Don't Do that.'"? These quips are universal in their appeal and all attributed to comic warhorse, Henny Youngman. He told these jokes thousands of times over a stand-up career spanning from roughly 1930 until not before his 1998 death. Youngman, also known for his ever-present violin, actually broke into show biz playing that instrument with the jazz combo The Swanee Syncopaters. One night, Youngman was thrust into service filling in for the originally-scheduled comedian. The rest is history, but it's worth noting that he immediately began honing his comedy skills throughout the 1930s and 40s, endlessly slogging the tough nightclub circuit. In the midst of his nightclub career, Youngman landed a recurring gig on radio's The Kate Smith Hour. Over a few years, he made several appearances for brief comedy routines. Also memorable among Youngman's radio appearances were two nights on Command Performance. On his second appearance, host Fred Allen reads the letter from the G.I. requesting Youngman's appearance. It mentions that the serviceman hadn't heard Youngman before his previous Command Performance appearance, but liked him so much he wanted to hear another set. Youngman's routine that night contained a few wife jokes, including, "Brother, can she talk. Brought her to the beach this Summer, when we returned her tongue was sunburned." Incidentally, that episode included a classic in radio history, an update on the "feud" between Fred Allen and Jack Benny. 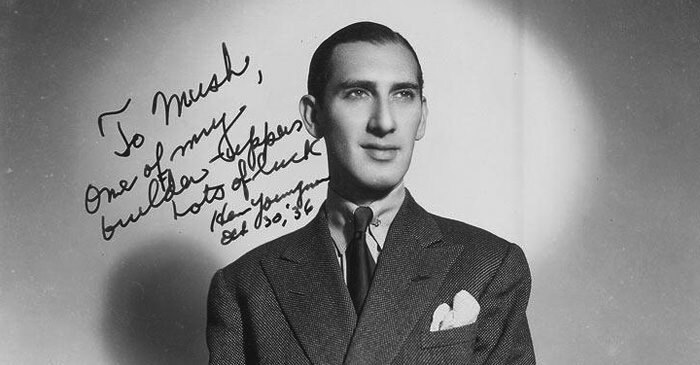 The Henny Youngman collection also includes his appearances on Radio Hall of Fame, GI Journal, Love Thy Neighbor, and the Bill Stern Sports Newsreel. So tune in, and hang on, because the punchlines are fast and furious. 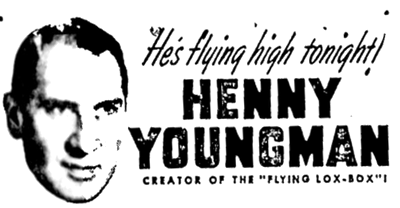 Be the first to comment on "Henny Youngman"